This homeowner had a small court yard between her back porch and a three foot wall. Small places like this aren’t the easiest to turn into gardens, but can be spectacular if done right. She asked for a Japanese inspired garden with stones and a water feature. So we installed a pond-less water feature with the auto fill pump beneath it. The water bubbles up from within the largest boulder and trickles down into the bed of river stones below to be collected for reuse. 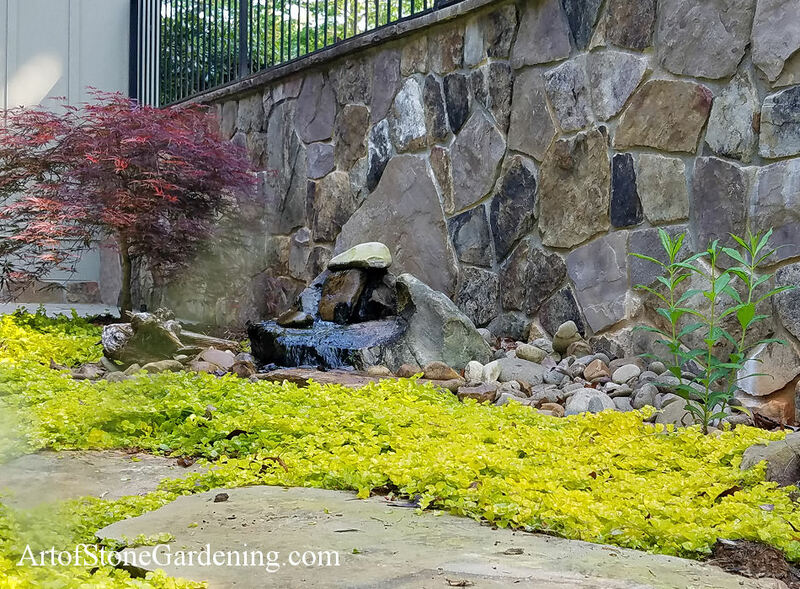 Other boulders are placed as accents The court yard is perfect for Creeping Jenny, and it grows explosively. Other small plants and ferns dot the garden around the Japanese Maple and dwarf shrubs. 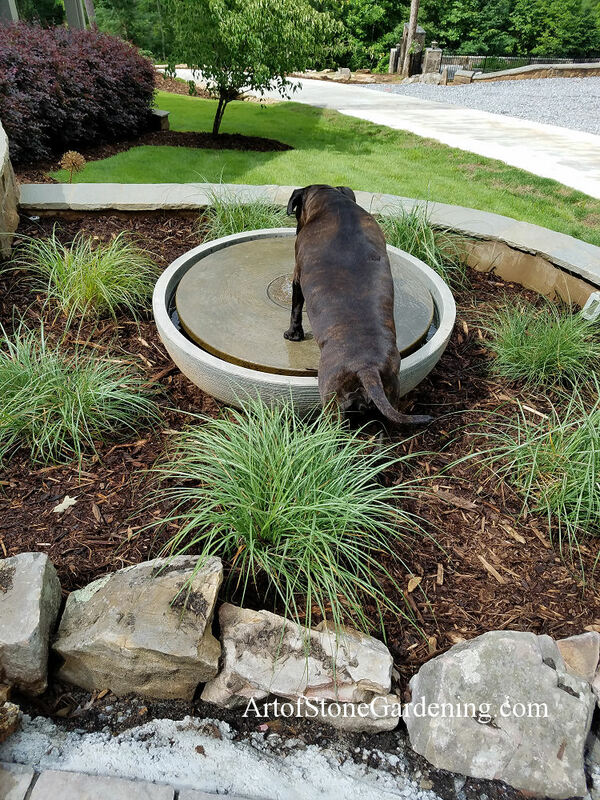 To collect excess water from the irrigation, a drain pipe is buried beneath the path.